At Mount Cross Ardona (m. 1005), a path splits into two. On the left, is a wooded summit then down along a bumpy ride to the entrance of Castel d'Ardona. To the right, a few bends bring you to same point but the road is much easier (1h 30 'from Brunate). 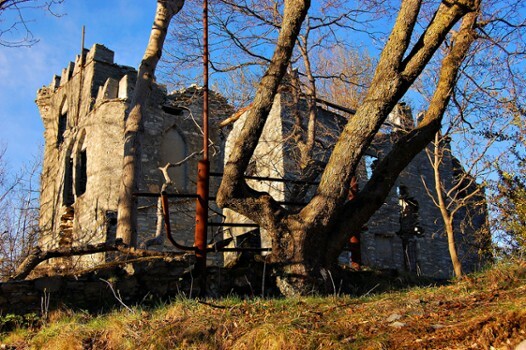 Montepiatto is a small settlement of houses scattered in the mountains above Torno. After a windy path a several steep staircases, you'll be awarded with beautiful views of the Como lake basin. 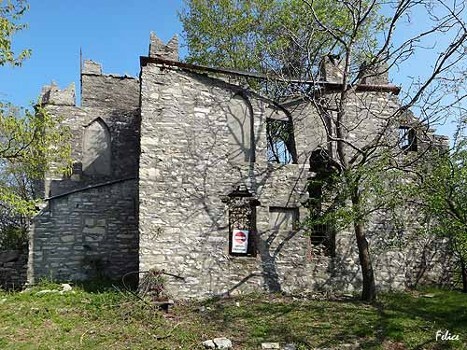 The castle is a building of modest size, completely in ruins, with Ghibelline battlements. 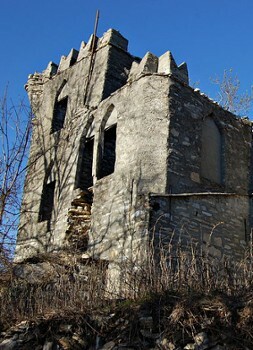 On the west side, is a battered tower while elsewhere there are collapsed walls and scrap of a balustrade. The few walls left standing show obvious signs of instability. Deep traps, partially hidden by vegetation, are probably tanks used as water reservoirs. The environment is, in short, a bit dangerous. 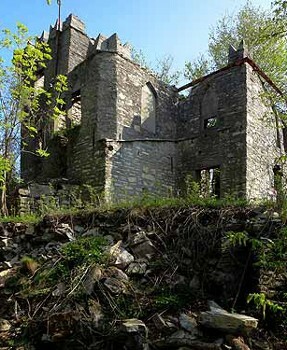 The whole complex is so overgrown that nothing is left of the great views, for which the castle was famous. The villa, called Castel d'Ardona, was built in 1894, on ANTICIMA of Mount Cross Ardona, by Angelo Ruspini, member of a noble family of Como. The area, now considered isolated and inaccessible, had a stunning view and maybe it was fashionable, due in part to the construction of the funicular. On the death of Ruspini, the property passed down to his housekeeper that in 1925, gave it to the Corporate Group Dyeing Comense. 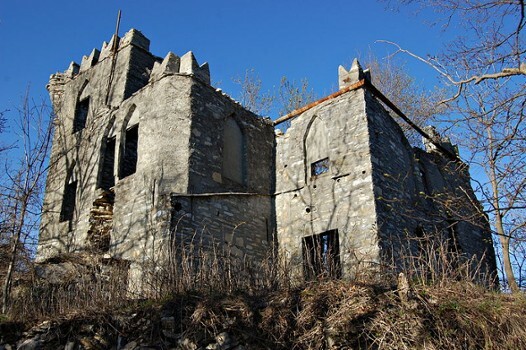 For a while is used as a vacation spot for the children of employees of the largest dyeing plant in Como— the famous Ticosa. In the end, it was abandoned, perhaps as a result of a fire. 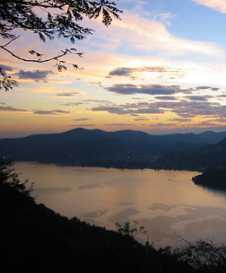 Since Roman times, Lake Como was a venerated location to build for opulence, defence or leisure. Nearby Things to Do include: Towns such as Blevio and Moltrasio; Water Activities such as Lido di Moltrasio and Non Solo Barche Boat Rental; Monuments such as Pietra Pendula and Volta Lighthouse; Villas such as Villa Taverna and Villa Usuelli; Parks & Gardens such as Park Casa Prandoni and Villa Pizzo Gardens; Churches such as Santi Epimaco e Gordiano and San Tecla.